KBB.com Brand Image Awards. Boasts 40 Highway MPG and 30 City MPG! Carfax One-Owner Vehicle. This Ford Focus delivers a Regular Unleaded I-4 2.0 L/122 engine powering it's smooth transmission. Wheels: 16 Painted Aluminum, Variable Intermittent Wipers, Urethane Gear Shift Knob. 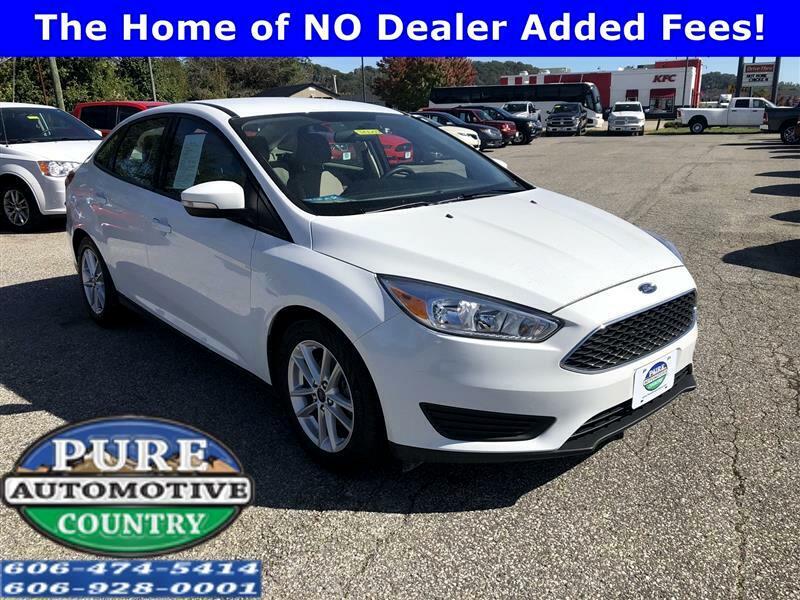 *This Ford Focus Comes Equipped with These Options *Trunk Rear Cargo Access, Trip Computer, Transmission: 6-Speed Manual, Tires: P215/55R16, Systems Monitor, SYNC Communications & Entertainment System -inc: enhanced voice recognition, 911 Assist, 4.2 LCD display in center stack, AppLink, 2 smart charging USB port, Bluetooth and steering wheel controls, Strut Front Suspension w/Coil Springs, Streaming Audio, Steel Spare Wheel, Smart Device Integration. *Feel Confident About Your Choice *According to Carfax's history report: Carfax One-Owner Vehicle, No Damage Reported, No Accidents Reported, 7 Service Records. *This Ford Focus is a Superstar! *KBB.com Brand Image Awards, KBB.com 10 Most Awarded Brands. *Visit Us Today *Come in for a quick visit at Pure Country Automotive, 333 C.W. Stevens Blvd, Grayson, KY 41143 to claim your Ford Focus! The home of NO Dealer Added Fees!